1.00 Section 16 of By-Law No. 1 of the Board of Governors is the governing provision for determining conflicts of interest for Governors and shall continue to govern those matters referred to therein. This policy provides some background to that provision and a procedure for declaring and determining conflicts of interest. 2.00 Governors have a duty of loyalty towards the University which means that they must, at all times with reference to their dealings with the University, act honestly, loyally and in good faith with a view to the best interests of the University. 3.00 A conflict of interest exists when there is a disjuncture between a Governor’s personal interests, financial or otherwise, or a Governor’s professional interests, and his or her fiduciary obligations to the University. 4.00 Conflict of interest situations can be “direct or indirect” meaning that the situation may affect not only the Governor but also all of his or her non-arms length relationships, including but not limited to immediate family members and persons with whom there exists, or has recently existed, a close personal relationship. 5.00 A governor shall make immediate written disclosure of a conflict of interest situation, whether actual or potential, to the University Secretary. 6.00 Upon receipt of a disclosure, the University Secretary shall convoke a committee, comprised of the Chair of the Board of Governors (or his or her designate), the Chair of the Audit and Compliance Committee and the Secretary, to consider the matter. The Committee shall determine what, if any, action should be taken by the Governor or the Board, in accordance with this Policy 14.1 and Section 16 of By-Law No. 1. The decision of the committee shall be minuted and reported to the Board. 7.00 Governors shall execute the Acknowledgement and Undertaking, attached as Appendix A, prior to taking their seat on the Board of Governors and annually each September thereafter. h. Using the position of Governor to serve the interests of an elected or appointed office held by the Governor. 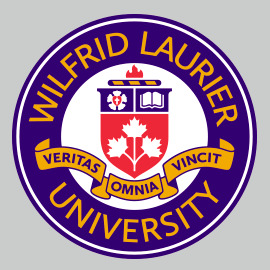 I acknowledge that as a member of the Board of Governors of Wilfrid Laurier University, I am a fiduciary with respect to the business and affairs of the University. As a fiduciary, I must adhere to the highest standard of conduct in carrying out my duties and responsibilities as a Governor, which includes the obligations to act honestly, in good faith with a view to the best interests of the University and to avoid conflicts of interest. I undertake to keep the strictest confidence in all confidential or proprietary information communicated or disclosed to me as a member of the Board of Directors. Dated at Waterloo, Ontario this [_] day of [_], 20[_].